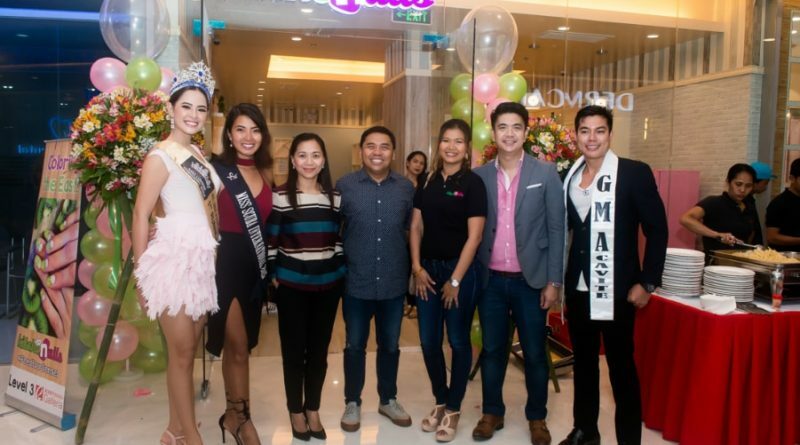 MANILA, Philippines – Miss Scuba International 2015 Cindy Madduma led the court of beauty personalities in gracing the grand opening of the third branch of KitcheNails at the third floor of Robinson’s Galleria Mall in Ortigas Center, Pasig City, Philippines. Its first and second stores are located in Trinoma Mall in Quezon City and Alabang Town Center (ATC) in Alabang, Muntinlupa City, respectively. The third branch is the first franchised-owned store of the brand, under the helm of Mark and Minnie Aldave. Mplify’s Miguel Dela Rosa, KitcheNails Marketing and PR Consultant, organized the the grand opening. The other personalities who graced the event were Miss Lumiere International World 2017 First Runner Up Sammie Anne Legaspi, Mr. Philppines 2018 candidate Ruel Rada, along with Myrna Dela Rama, KitcheNails’ operations manager. KitcheNails’ main goal is to grow and cater the needs of its customers with a different experience, as they offer services like accupressure, Swedish and signature massages, and detox, among others. The store ambiance adds to the relaxing experience that customers may experience and look forward to.